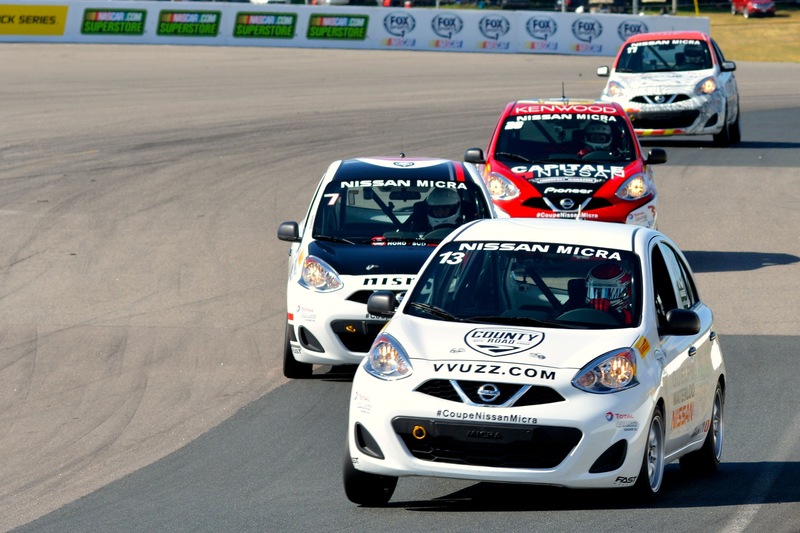 Affordable racing may be an oxymoron, but Nissan Canada continues to make motorsport as economical as possible with the Micra Cup series. 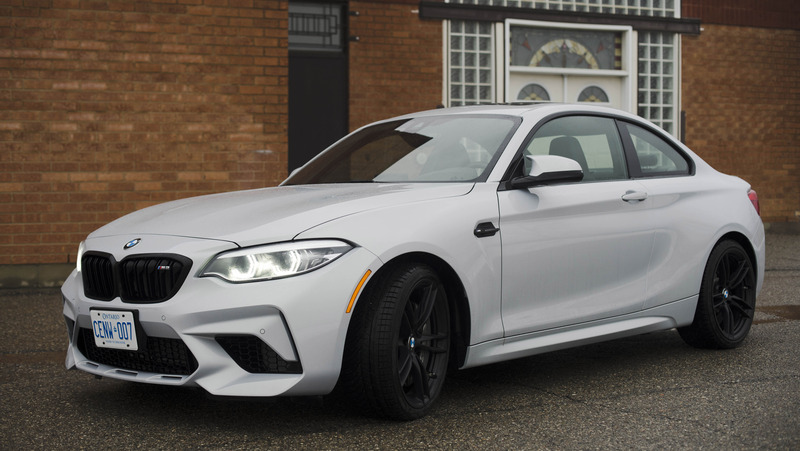 Starting with Canada’s lowest priced car, the $9988 Nissan Micra S hatchback with a manual transmission—the championship creates a level playing field among competitors. 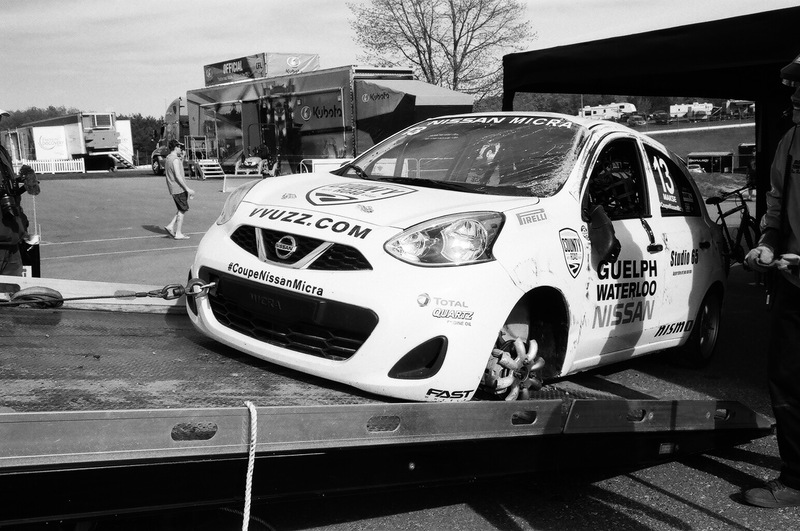 Drivers purchase their Micra Cup directly from the series and it’s delivered as a complete, race ready car for $22,900. In racing terms, that’s a bargain. 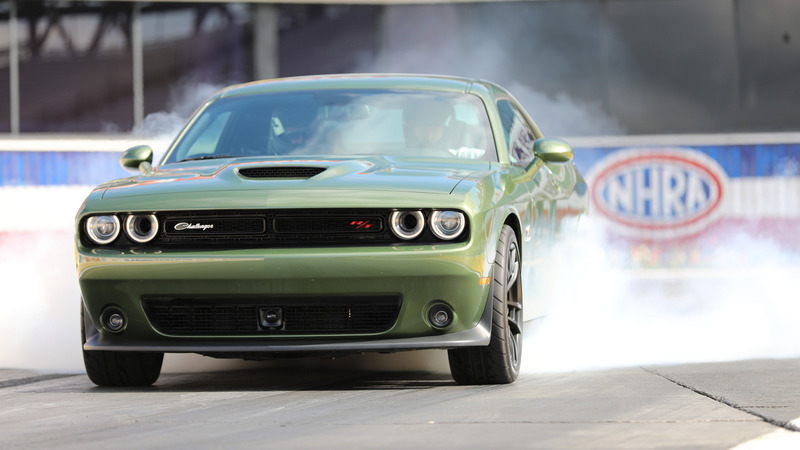 Each Cup car is built with exacting standard by racing specialists Motorsports In Action in St-Eustache, Quebec. Mechanically, the race cars use the original Micra drivetrains without any performance modifications. That’s right – racers are commanding the entirety of the Micra’s 109 horsepower, which makes this Nissan the slowest racecar I’ve ever competed with, but it also makes for incredibly competitive racing. The Micra interior is stripped and replaced with a roll cage, racing seat, a six-point racing harness, and a fire extinguisher. The suspension is replaced with a lower ride height coil over type set up, racing brake pads added, and all Micra Cup cars roll on retro-styled Fast wheels and Pirelli slicks. 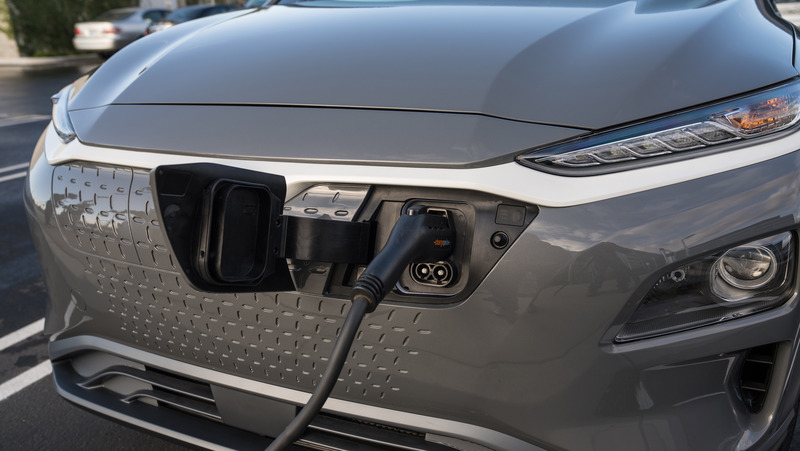 Optionally, teams can add two-way radios and data acquisition systems, but modifications end there. 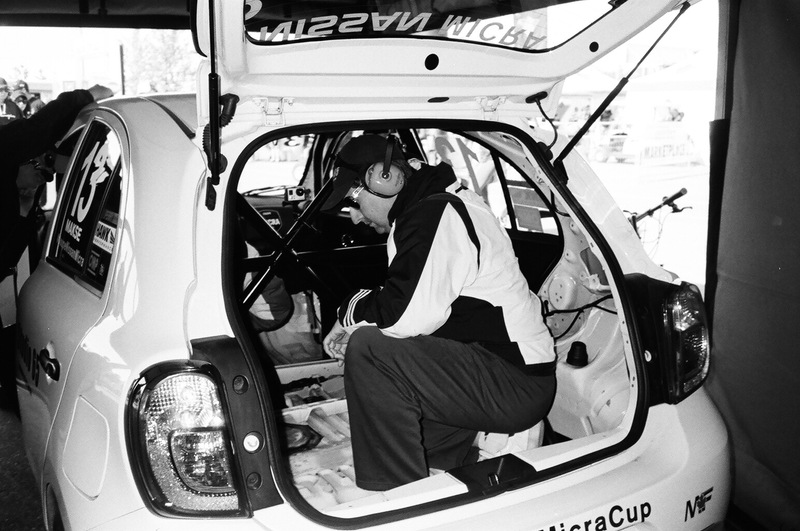 Each Micra Cup car is built identically and the series scrutinizes cars as necessary, maintaining that level playing field and ultimately leaving performance in the hands of the driver and the team preparing the car. 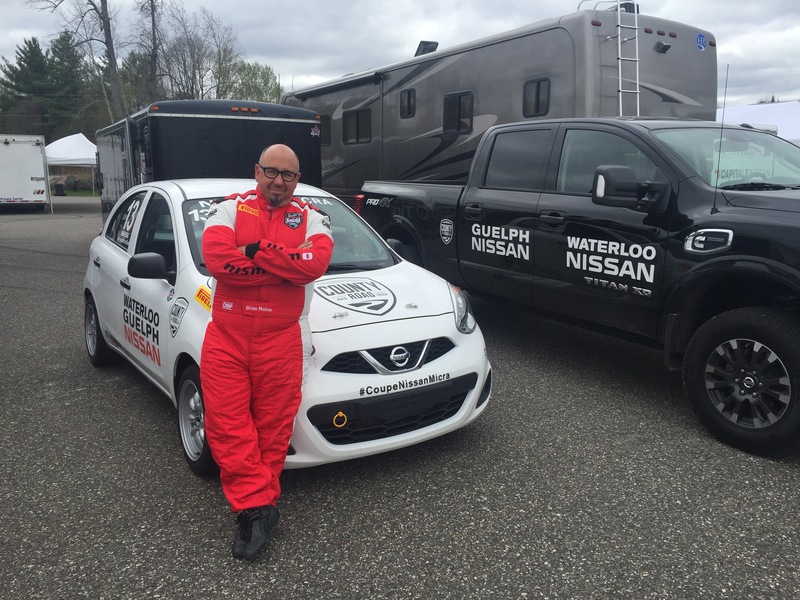 When Nissan Canada debuted the series in 2015, I was invited to drive one of their cars in the premiere race at Circuit Mont-Tremblant. After racing Honda Civics south of the border for many years, I was taken by the challenge of racing in a competitive, one-make series. 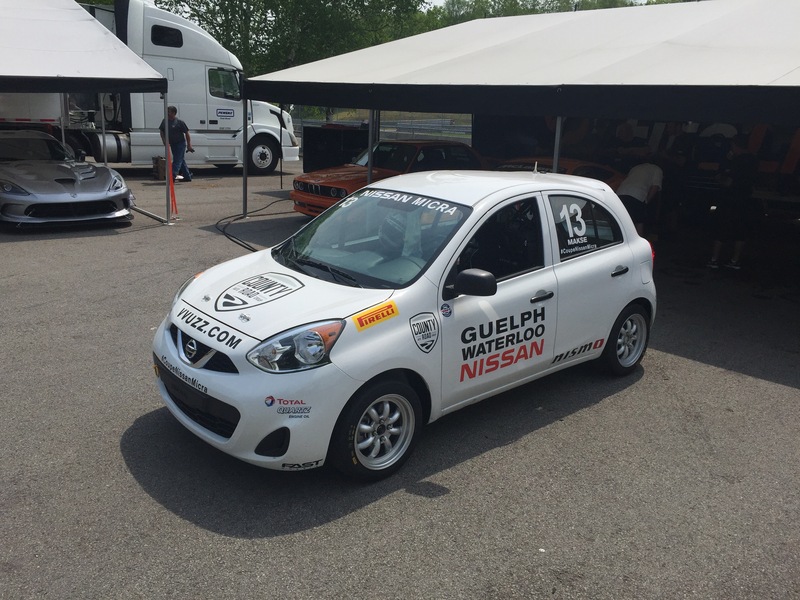 When the championship expanded to Ontario last year, I suppose I was obliged to join the Micra Cup fray. 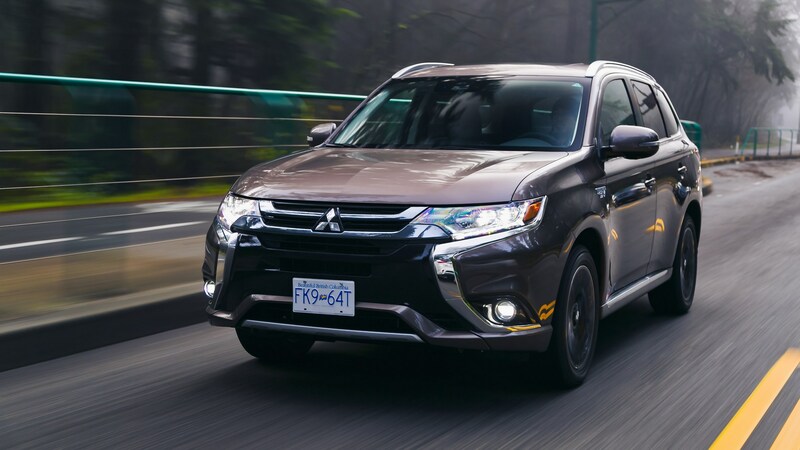 With the help of Guelph Nissan and Waterloo Nissan, that’s exactly what we did, but it wasn’t easy. 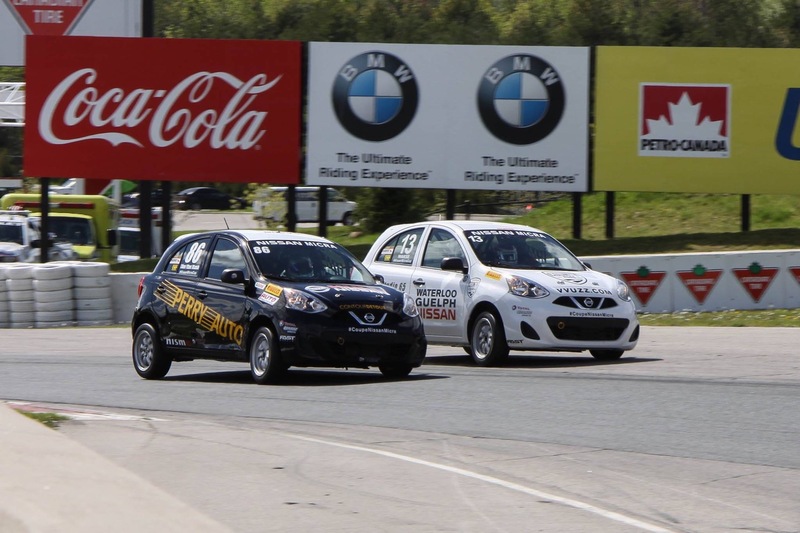 In the 2016 Nissan Micra Cup championship, my biggest challenge was, well, me. You see, I started the season well over minimum driver weight, so I took care of business and dropped about seventy pounds by the end of the season. And wouldn’t you know it? Once I dropped the weight I was running competitive times and in fact on my last weekend in 2016, I cut through the field, starting fourteenth and finishing fifth. It was a massive achievement after a tough season. 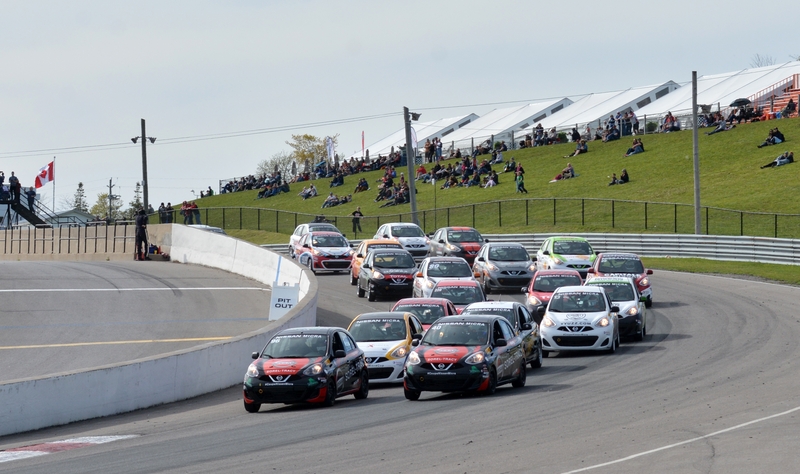 For the 2017 season, Nissan Canada stepped up its game and is bringing in fans to every race, offering tickets to Micra owners and inviting Z owners to come together at races throughout the season. The series created a sub championship for drivers over forty, which I’m eligible for and, the bottom line is, we’re now competitive for the first time in the series, so not only can we do well in the regular championship, but we have a real shot at winning the over forty category. The series also brought in a new Chief Steward, the very experienced Terry Dale, for one key reason: to reign in some of the drivers because the Nissan Micra Cup has earned a bit of a reputation for being like carnival bumper cars. 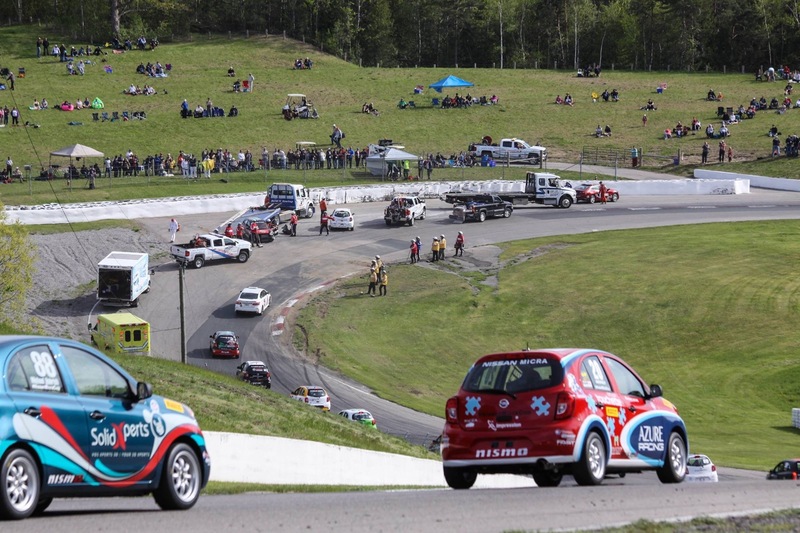 In the first driver’s meeting of the 2017 season at Canadian Tire Motorsport Park, Mr. Dale read the drivers the proverbial riot act and we were told that Micra Cup is a no-contact series with severe penalties for those kinds of indiscretions. In that driver’s meeting, it was crystal clear there is no excuse for contact. Giving me even more confidence, the fine folks at Motorsport In Action are providing technical support for our Lucky Thirteen Micra so we know we’re going to have good set ups for the season. Key to our performance, this driver is even lighter and fitter after a long winter, and for the first race of the 2017 season at Canadian Tire Motorsport Park, we qualify sixth, a good ten spots ahead of where we were qualifying last year. 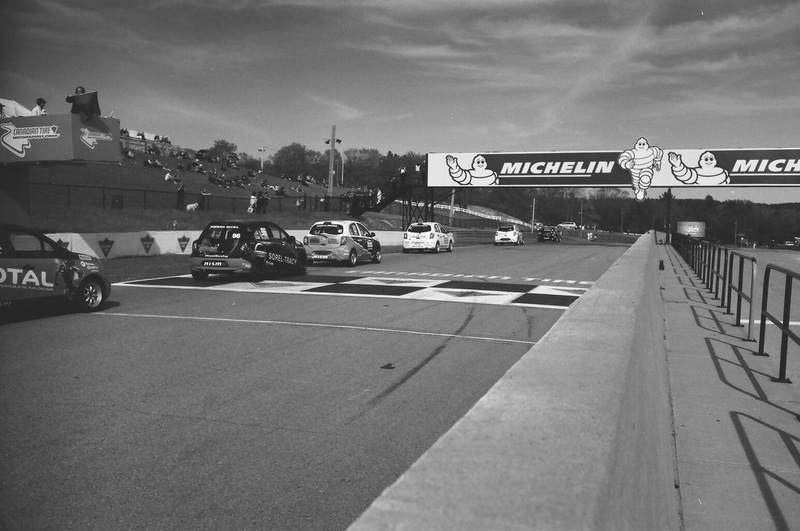 In the season opener, we start outside on row three and after the green flag drops, it’s door-to-door Micra Cup racing. We’re up to fourth by the second corner, then drop a position on lap two to crafty old Normand Boyer…and then get, well, used as a brake by Stefan Gauthier. On the hill up to the famous Moss Corner, Gauthier hits the left rear of my car with what seems to be a 20 km/h differential in speed. My car turns right and since we’re going uphill, when I leave the track I hit some earth and get launched in the air at about 120 km/h. I land driver’s side down on the track in the hardest impact I’ve ever felt. Miraculously, my car spins around and back up onto its wheels. After I stop, my biggest concern is getting hit by one of the twenty-something cars behind me, which thankfully doesn’t happen. 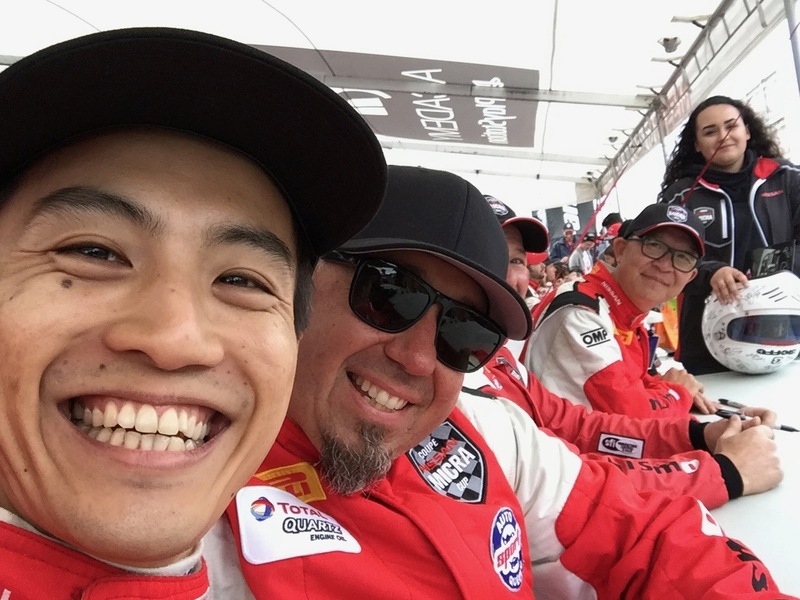 Despite racing at Canadian Tire Motorsport Park for twenty-five years – back when it was called Mosport – and teaching there for a long time, I had no idea there was a medical suite in pit lane. I discovered its existence when I was delivered there by ambulance. 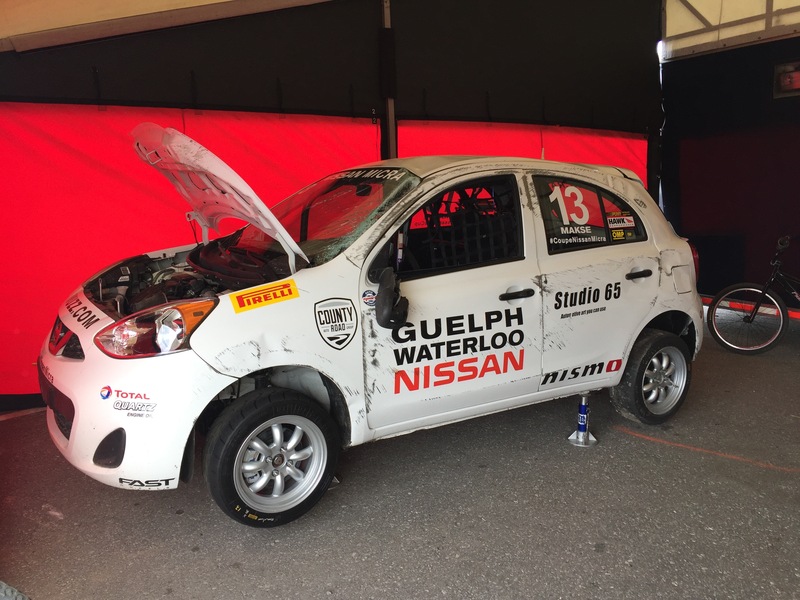 Sure, racing’s far safer than when I started and Motosports In Action builds some seriously tough Nissan Micra Cup race cars. Thanks to MIA, I only have minor injuries. Indeed, I was injured and still, months later, I have acute pain in my neck that’s exacerbated especially when I wear my helmet. My Lucky Thirteen race car, however, is another story. 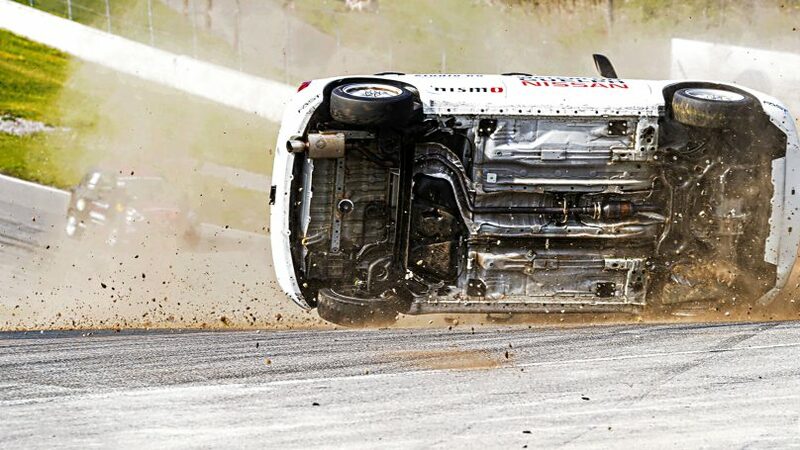 The roof crushed around the roll cage, the entire driver’s side is ruined from the impact with the track, the windscreen is smashed, the two front wheels are broken, and there is significant suspension damage. With race two the next day and the next race weekend immediately following this one, as well as no possibility of repairing my car in time, in this single incident, I’m removed from any chance of finishing well in this year’s championships. Sure, I’ve had my share of crashes before, but I’ve never had one that ended my season, let alone in the first race of the season. As for Gauthier, his penalty was exclusion from this race, starting from pit lane in the next race and a four race no-contact probation. Instantly, the team from Alta Nissan stepped up and is working on repairing my car. 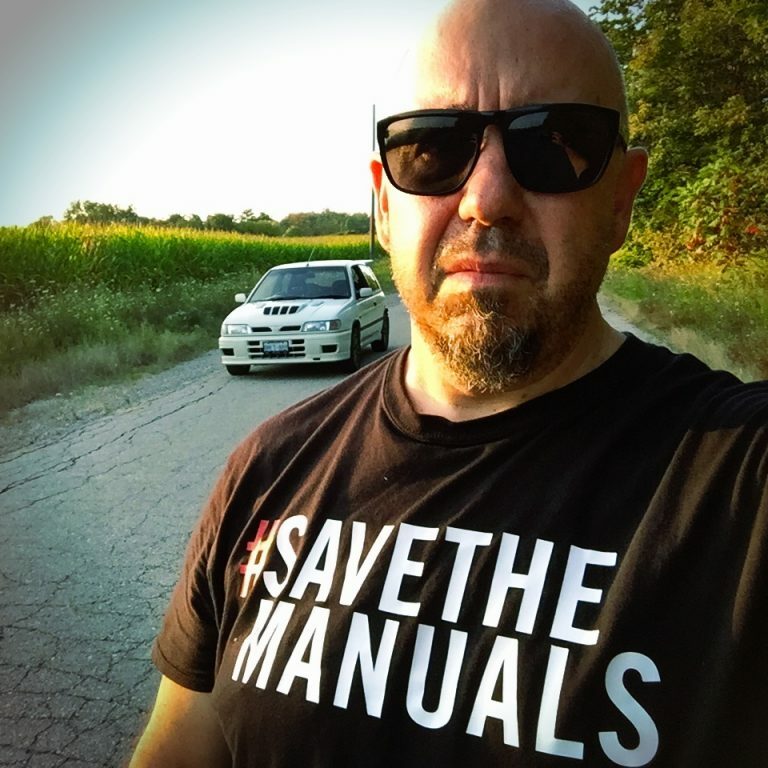 Thankfully for me Alta Nissan is awesome and has the resources to do it right because crashing a racecar is never inexpensive. 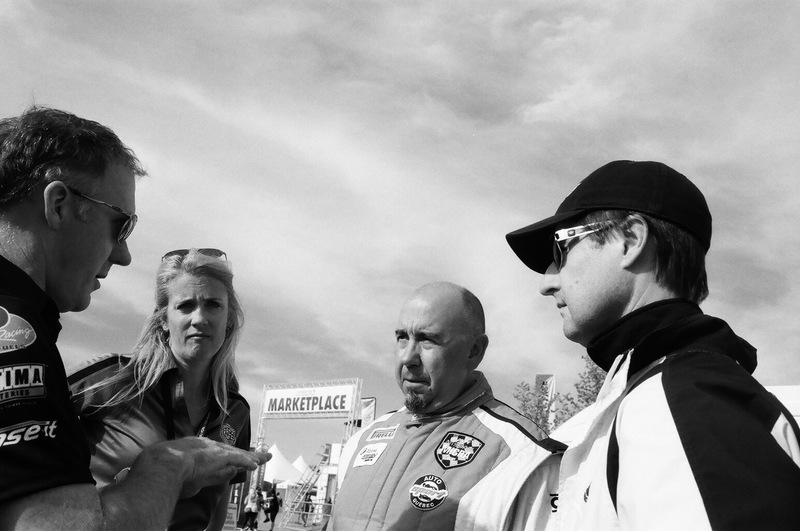 As for me, in this latter phase of my racing career I’ve never been in better shape and have plenty of options. And, you know, if it’s not a bad idea, I might be back in Nissan Micra Cup. Racing, as they say, can be a cruel mistress.